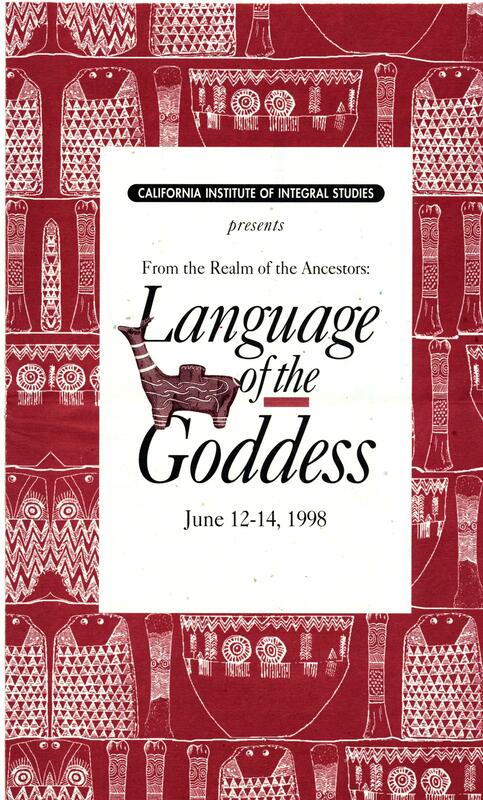 These presentations and panel discussions were recorded at From the Realm of the Ancestors: Language of the Goddess conference sponsored by the Women’s Spirituality Program at CIIS (June 12-14, 1998 at Cowell Theatre, Fort Mason in San Francisco) in honor of the pioneering archeologist Marija Gimbutas. The conference focused on the necessity of refocusing our collective memory, and to the cultivation of vision, creativity, insight, and the celebration of life. The conference was moderated by Joan Marler and featured presentations by scholars and artists who acknowledge the significance of Dr. Gimbutas’ research and theories.